Recognised as one of the top dating coaches in London. 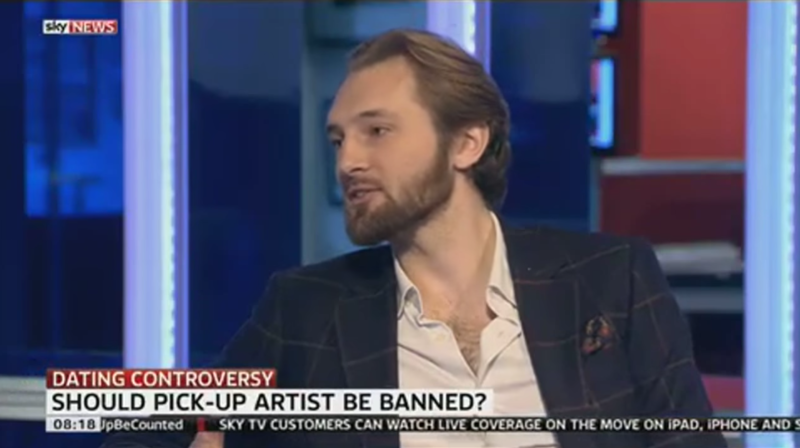 I was asked to come into the Sky News studio and share my opinions on a topic that was causing much controversy within the pick up artist community. I pride myself with a 100% success rate experienced with my clients. My love and respect for women is what drives my passion to help more and more men have the tools and ability to fulfil healthy and loving relationships. Men and women teaching in this field all have a certain level of responsibility. It is important that those who hold these positions communicate their message in the most ethical and respectful ways.